Over the next few years there were to be two films that unofficially introduced the world to the Count. F.W. Murnau’s aforementioned plagiaristic masterpiece Nosferatu in 1922 is the most famous (albeit poorly disguising its obvious source). The year before, a little-known Hungarian film appeared called Dracula’s Death which borrowed the title character and not the plot from Stoker. It concerns a music teacher within an asylum who only believes himself to be ‘Drakula’ (carefully using the more distancing Hungarian spelling), so only has a passing connection with the novel. 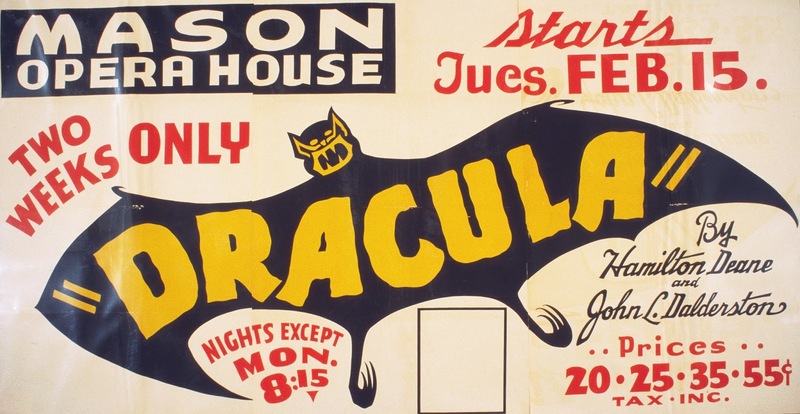 In 1924 actor-manager Hamilton Deane decided the time was right to make an (as it were) full-blooded bid to officially present Dracula for the theatre as part of his touring repertoire. In Universal’s valuable documentary The Road to Dracula by David Skal, company actor Ivan Butler recalled that “He had to cut it down, for expense for one thing…It was a sort of skeleton of the original”. Deane’s production was largely responsible for the look of the Count that we know so well today. Rather than the aged, moustached, longer-haired novel’s description, the stage Dracula was a middle-aged, debonair figure only ever seen in evening dress and reminiscent of a gentleman magician – an atmosphere augmented by the stage production’s elaborate magic effects including a false-bottomed coffin for him. The part was played on tour by a number of actors, most notably Raymond Huntley who still holds the record for the literally thousands of times he played the role across England and America. The play was a smash hit, so inevitably Broadway came calling. To transfer to the ‘Great White Way’ however, producer Horace Liveright wanted changes, for example to render the anglicisms suitable to a New York audience. He brought in playwright John L Balderson to streamline the script. Bela Lugosi (Béla Ferenc Dezső Blaskó) was born in Hungary in 1882. After an early film acting career in supporting roles, his union organiser activities during the unsuccessful communist revolution of 1919 forced him to flee his native country. Initially he tried his hand in German Weimar cinema (which may explain the intense, somewhat Expressionist style of his movie acting) before he pitched up in America’s New Orleans looking for theatre work. Having no command of English, Lugosi had to learn his early parts phonetically. When the Broadway producers heard about him, they realised that the otherwise limiting attributes of this ex-pat actor could actually be perfect for them; they even allowed for his still-hesitant grasp of English by agreeing to direct him in French. His strong Hungarian accent (local enough to Dracula’s home region) coupled with an air of commanding, aloof mystery satisfied the needs of the role – moreover they were under time and financial pressure to complete the casting. Debuting in October 1927, the Broadway production was a great success, and although in retrospect it simultaneously made Lugosi and imprisoned him for ever in the role’s association, many actors would gladly have bargained for the opportunity. In his late 40s suddenly Lugosi was a Broadway star, unnerving male and female audiences alike in what the posters trumpeted as: ‘New York’s latest shudder! !’ He ultimately went on to play the role thousands of times, 33 weeks in the Broadway run and then on one of two simultaneous tours, the other Count played by Raymond Huntley. Universal Studios caught the hit show early in the run, having already established a practise of scouting for theatre talent and plays to fulfil the new demand for talking pictures and ‘well-spoken’ actors to showcase in them. Ever since Carl Laemmle had founded Universal Studios back in 1915, he had wanted to produce a film of Dracula – yet even though the studio had earned huge success with The Hunchback of Notre Dame and The Phantom of The Opera, both starring Lon Chaney, he was apprehensive about its viability. Until that time, horror had not become an established genre like westerns or romance dramas. Finally it took the enthusiasm of his son Carl Laemmle Jr to finally commit the studio to making it and $40,000 secured them the movie rights to the play. Initially, the studio aimed to minimise its risk as much as possible by persuading the proven film star Chaney to take the lead part instead of transplanting the original Broadway cast. Negotiations got as far as offering Chaney a three-picture deal and the enticement of a talking sequel to The Phantom of The Opera. Tragically, audiences would be denied his startling craft in both roles when cancer took his life in 1930. 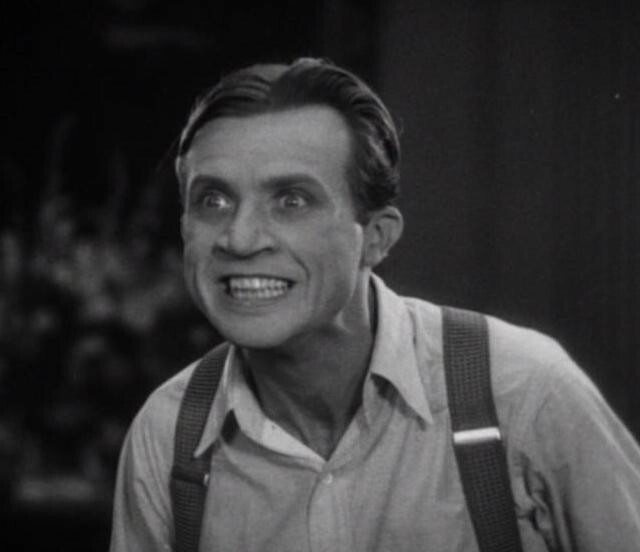 One connection to Chaney that would remain was the hiring of his long-time collaborator Tod Browning as director. Whilst we can only speculate as to how Chaney would have no doubt metamorphosised himself to fit Dracula’s physicality, Lugosi imprinted his own attributes onto the part. Aside from the air of exotic mystery and intensity in his playing, the unusual rhythm and word emphases of his non-native English delivery of the lines is still the most widely-imitated version of Dracula – in much the same way that Olivier’s distinctive speaking of Richard III is inextricably bound with that role. Sadly, this would prove part of the fateful draw-back for Lugosi, as unlike Chaney’s trademark as ‘the Man of a Thousand Faces’ he was using his real accent that could not be adapted to other roles for greater versatility. Lugosi had to campaign hard to be cast in the film, denigrating himself so far as to contact Bram Stoker’s widow for extra support. Before settling on him, Universal had considered such names as Conrad Veidt and Paul Muni. Finally, the studio agreed on Lugosi. A further humiliation was his agreeing to a fee of just $500 a week for the seven-week shoot (a quarter of that paid to David Manners for playing the supporting role of Harker). Presumably he tolerated this exploitation because he knew instinctively that this was the chance of a lifetime for an actor to make his name. Allegedly during the shoot he maintained an aloof air from the rest of the cast, preferring to walk about seemingly hypnotising himself by repeatedly intoning “I am Dracula”. Perhaps this speaks as much about understandable insecurity and the pressure upon him as any perceived arrogance of manner. The overall budget for the film was set at $341,000, less than was originally intended for a proposed full re-imagining of the novel; the aftermath of the catastrophic stock market crash of 1929 left the company no choice but to tailor the film closer to the less ambitious play. The prologue sequence transporting us to olde-worlde Transylvania begins with an impressive glass shot that augments the real shot of the carriage on a road at the bottom with the winding path up to the ghoul’s fairy-tale Castle Dracula. Inside the carriage, the first dialogue ever spoken in a pure horror film is by the young Carla Laemmle as an American tourist en route. The famous orchestral music refrain we hear is from Swan Lake and would recur in other Universal horror films such as The Mummy and Murders In the Rue Morgue. In filling out the rest of the cast, Asie from Herbert Bunston as Dr Seward, Edmund Van Sloan was the only other Broadway cast member brought in to repeat his crew-cut boffin of a Professor Van Helsing, a vivid presence if lacking the attractive, dynamic energy and gallows humour of the novel’s character. Charles Gerrard, the cockney sanitarium orderly, (“They’re all crazy!”), was recruited from James Whale’s film of his distinguished stage run of Journey’s End. Whale would pick up the horror baton from Browning to direct Frankenstein for Universal the same year. For my money, the best performance among the fresh talent drafted in is the elsewhere Broadway veteran Dwight Frye as Renfield, a wide-eyed manic bundle of schizoid energy with a memorable snickering laugh who becomes Dracula’s spellbound servant. (This began his typecasting into subservient character parts such as Fritz, the later 'Ygor' archetype, in Whale’s Frankenstein). One of the major changes in translating the book to the stage (and film) version is that it is he and not his employee Harker who initially goes to Castle Dracula to secure the deal for the vampire’s new home at Carfax Abbey in England. It neatly strengthens his relationship with Dracula - and mercifully gives us less of David Manners whose scenes with Helen Chandler’s Mina are slow, bland drawing-room melodrama which deaden the pace in the second half. To be fair to the juvenile leads, the play and film translation had to sacrifice much of the location scenes and characters that work (in an uneven book) in favour of their relative modest budgets. It’s easier to stage talky expository scenes in a single English location than showing the book’s climax moving to Transylvania for example – but it does mean that the one forgets that it’s supposed to be a horror film about a terrifying supernatural threat not a modern love story of romantic trials, particularly after the halfway point. The aping of current theatre styles is compounded by updating the period to the 1920s for budgetary reasons.These interpretations of Stoker also both omit most of the trio of heroes committing excitingly to kill Dracula under Van Helsing’s leadership. In the novel, Quincy Morris, Arthur Holmwood (Lucy’s fiancé) and Dr Seward are former suitors of Lucy who make a tribute pact as she is dying to end the vampire with Van Helsing and Harker – thus implying how powerful an adversary just this single undead figure of evil must be. Now, however, Dr Seward is Mina’s father so it is a less dramatic father and mentor dynamic in opposition. The less successful special effects in Browning’s film involved the same bats-on-wires as the stage production - which transform into Dracula off-screen - and a storm at sea sequence taken from Universal’s 1925 silent film The Storm Breaker which is speeded-up, owing to the slower camera speed of silent footage. There are significant improvements that the film makes of course. John Ivan Hoffman’s superb set designs give us the huge decrepit interiors of Castle Dracula complete with a sweeping staircase, plentiful cobwebs and spiders that only nowadays could be lavished on a Broadway production. (It even has an insert shot of inexplicable armadillos wandering about). This was achieved like the opening vista of Transylvania by a glass shot placed over the lens, adding the extra expanse of scenery ‘live’ during filming. My favourite of the invented plot changes is the opportunity for Dracula and Van Helsing to meet face to face in a dialogue scene as worthy enemies verbally challenging each other. One of the weaknesses of the novel is that we don’t get this satisfaction. After over-long research preparations for pursuing Dracula back to Transylvania, the team hurtle across Europe, suddenly rip open the Count’s coffin on sight and while Quincy slits the vampire’s throat, Arthur stakes him to death. There is no time for Dracula to awake and for us to savour any kind of confrontation. In fact, other than the deliciously suspenseful early scenes of the vampire with Harker in Castle Dracula, the Count is virtually absent from the rest of the book till the end. In the film he has a more fitting amount of screen time, and visits Van Helsing who ignores Dracula’s boast of command over Mina and his demand that he return to his homeland. The Professor’s will equally proves too strong for the vampire’s hypnotism. Finally, we also gain the extra pleasure of seeing the expert older hero himself executing the vampire, albeit staged less than triumphantly. (Dracula’s long death groans were cut from the soundtrack until the 1990s Laserdisc release put then back). Though Tod Browning could identify with the ‘alien misfit outsider’ status of Dracula, a theme he mined powerfully in films like the later Freaks (1932), he struggled with adapting his style of shooting silent films to the new sound medium. 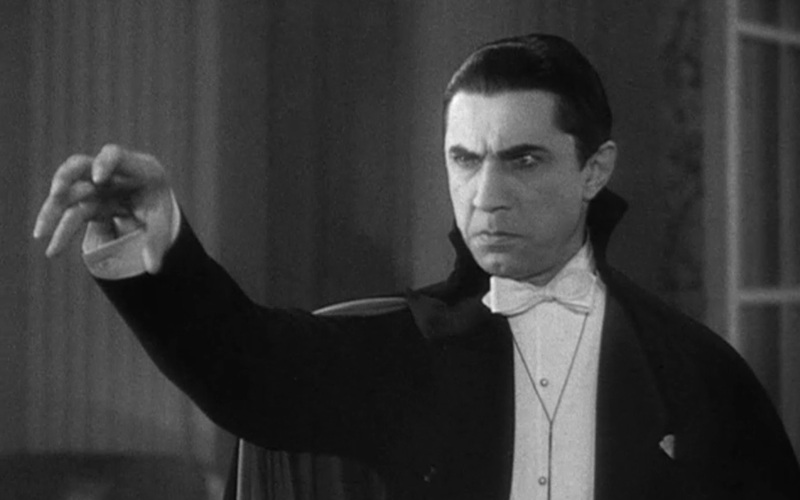 As far as he could, he cunningly filmed scenes without dialogue which did add to the eerie atmosphere, such as when Dracula is hypnotising his victims wordlessly. According to the actors, he was not a strong guiding hand on set, deferring frequently to his superb cinematographer Karl ‘Metropolis’ Freund for many of the stylistic filming decisions. Freund was full of creative ideas and with such striking techniques as tracking shots leading us into the castle and the sanitarium, as well as great use of lighting and fog it’s no surprise that he went on to supplement his camerawork by fully directing Universal horror classics like The Mummy and Mad Love. At the very end of the film, the first cut included an epilogue taken from the New York theatre run in which Van Helsing speaks directly to the audience, playfully assuring them not to blithely dismiss what they have just seen as pure fantasy because: “…after all, there are such things as vampires! This coda was later dropped. 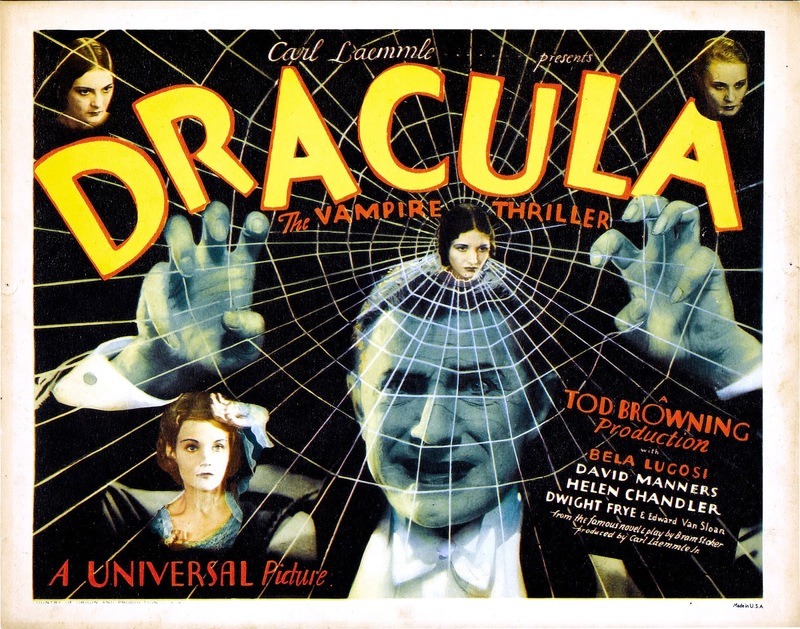 To bolster its chances on release, the studio gave Dracula a splendidly eye-catching poster campaign in various full-colour designs, possibly the most memorable featuring a spider’s web with Lugosi poised at the epicentre, surrounded by his female prey from the cast caught in his terrifying snare. 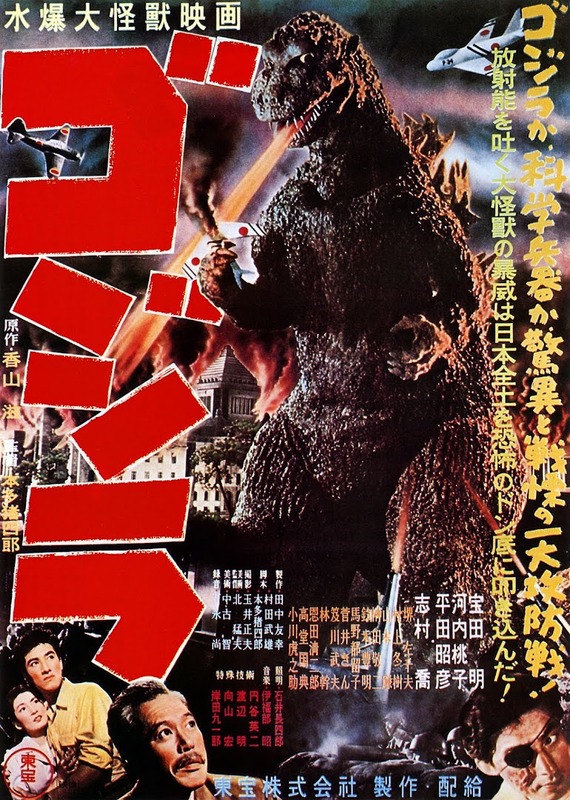 Nowadays these poster fetch huge sums as valued collectors’ items. When Bram Stoker conceived Count Dracula, he had consciously or not played on Victorian cultural paranoia in different forms. There was an irrational xenophobia about foreigners, racism toward anyone who was not a product of polite English society. In awakening both Lucy and Mina’s deep sexual yearnings and desire to fulfil them, the book also aroused traditional men’s fears of female emancipation, their dominance also threatened by the Suffragettes. Dracula’s character could even be viewed as a metaphor for the terror of contracting sexually-transmitted diseases, a living virus infecting us as a result of consorting with the unclean outsider. (Stoker allegedly suffered from tertiary syphilis). These anxieties still resonated in 1920s western audiences, particularly in the post-war mistrust of other countries. This may help explain the peculiarly unnerving effect that Lugosi’s portrayal had on both men and women in cinemas. With the enormous box-office response to Dracula, their biggest hit of 1931, Universal had now invented the first true Hollywood horror film. Simultaneously they created a new genre that they would famously exploit and, beginning with Lugosi as the first acknowledged horror film star, a new breed of actor they would market the same way – as what he would later call “…a blessing and a curse”.